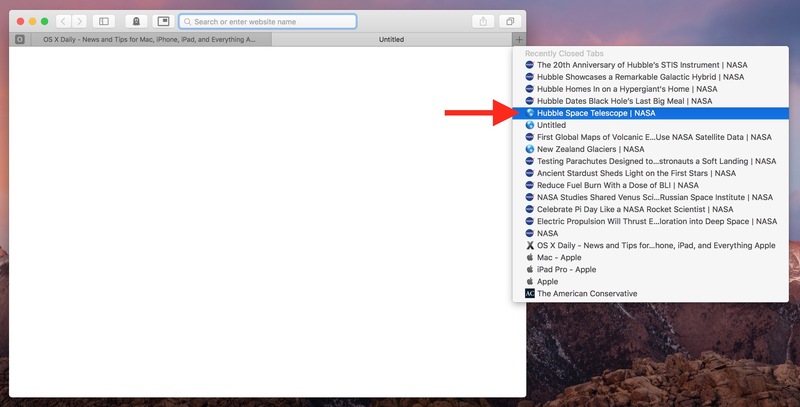 Mac users have long been able to re-open a closed Safari tab by using a keyboard shortcut, but what if some time has passed, or what if you want to re-open a specific closed tab in Safari? It turns out the latest versions of Safari for Mac OS support a menu-based option to easily browse through a list of recently closed tabs, which you can then select any closed tab from to re-open. This is a simple and effective way of re-opening recently closed tabs and browser windows in Safari for Mac. Perhaps the best part about this approach is that it allows you to select a specific browser tab to re-open, whereas the Command+Z keystroke to reopen tabs approach will just re-open the last closed Safari tabs in chronological order. If this trick sounds familiar to you, it’s probably because it’s just like how you re-open closed tabs in Safari for iPhone and iPad in the iOS world. 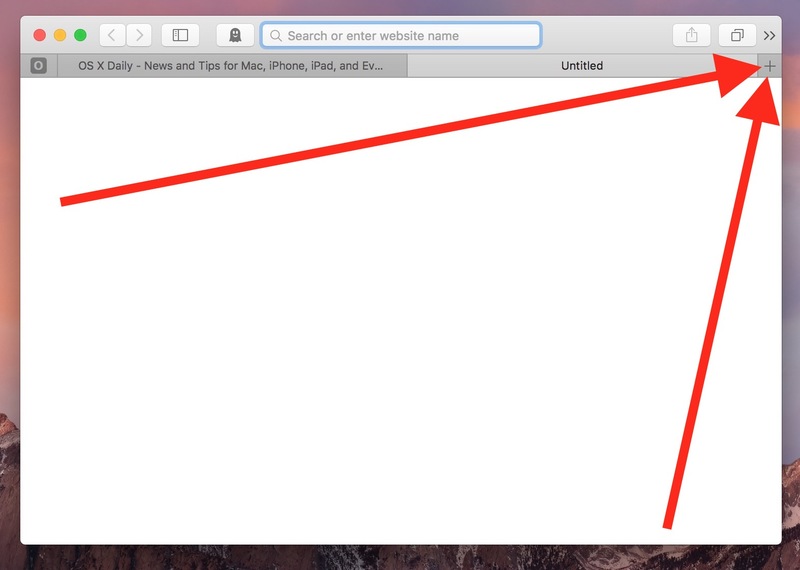 Know of another way to reopen closed tabs in Safari for Mac? Is there a better approach? Let us know in the comments! I use the history menu in Safari mostly too but this is a nice trick since it’s the same on Mac what it is on iPad and iPhone. Some things are good to merge features like that. This particular ability is fairly recent addition, the other option was to use the History menu and various submenus in there. Doesn’t work on my iMac !! You need Safari 10 or later, this is a new Safari feature on Mac. I was about to say the same but then I realized I was in Firefox. Upon switching to Safari (10.0.3), it worked for me. You need to update Safari if you don’t have this feature. Alternative on Step 1. If you right-click on the +, you do not need to click-hold. Oddly, I didn’t know about click-hold until now. I’ve always used history. Like this better!